Designed to be used in the shower while shampooing the hair. 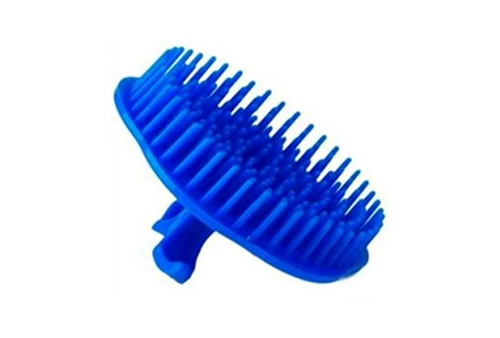 Apply shampoo and scrub the scalp with the brush to ex-foliate the scalp to control flaking and itching. it works somewhat in massaging my scalp. I don't know if it will promote hair growth. At first it was a little challenging to use in the shower when my hair is wet. Over time it got easier as I use this scalp brush more often every time I shower. Just don't scrub too hard!